We have found the following products matching your search for Red Wing Men s 6 Inch Moc Toe Leather Lace Up Boots Olive Mohave UK 6 US 7 Green. These men's Red Wing 6 Inch Classic Moc Toe Leather Lace-Up Boots in olive mojave are water, moisture and stain resistant. While great for working outdoors, this footwear is stylish enough to wear with most casual outfits. Its durability begins with triple stitched oil-tanned leather uppers. 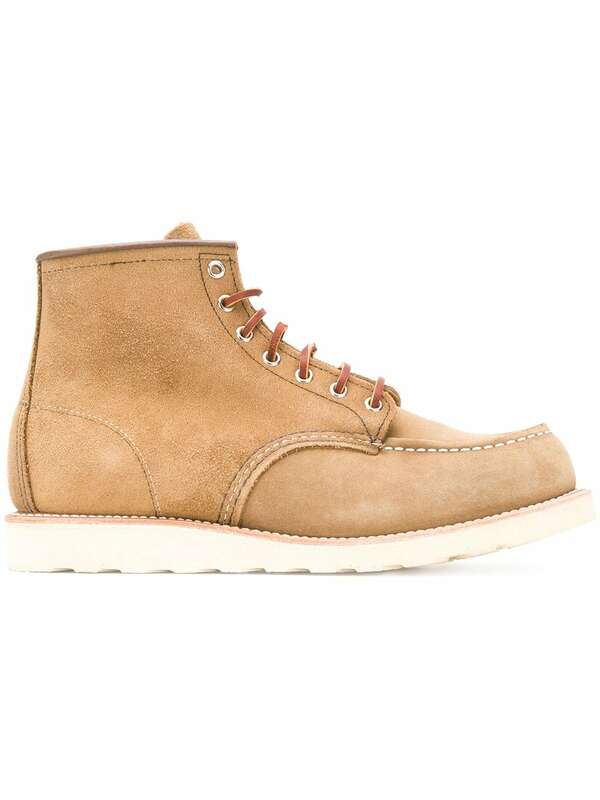 Durable rubber outsoles give great traction, and the Goodyear welt construction allows toes to move freely while providing feet a comfortably snug fit.Upper: Leather. Sole: Rubber.